You’re sitting at a bus stop, the time stamp on the bus ticket in your hand claims the bus should be arriving in another 15 minutes. 40 minutes later, the bus is still not there and the only thing you’re hearing are excuses from the transportation company about the delay. As with many other Malaysians, this is a problem I constantly face when it comes to taking public transportation, especially during peak holiday seasons. The only thing that is left for me to do at that point is just accept the unfortunate rearrangement with my schedule and move on. Now, there’s an app that has recently launched that aims to help out with this dilemma by letting you know the bus’s exact location wherever, whenever. WRZiT is a community based GPS tracking app for public buses started by 2 co-founders, Haimi Edzwan Hashi and Mazlan Paiman. Back in 2014, the team behind the WRZiT app came to a decision that they wanted to venture into the startup world. They just had a problem of identifying what to pursue. All they knew was they wanted to leverage off 2 trending technologies which are geolocation and crowd-sourcing technology. 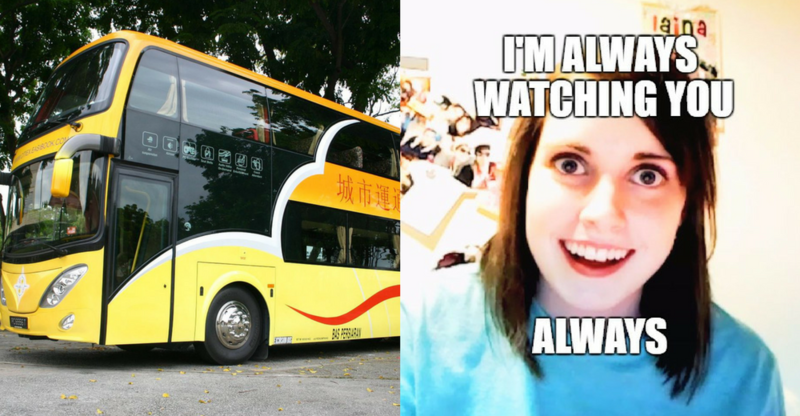 After seeing the many express bus related incidents that happened between 2013 to 2014 (with the most notorious incident being the Genting accident that left 40 people dead), the team started by developing a community driven express bus overspeeding app. They decided on this because they felt people needed an app to monitor express bus overspeeding during the holiday exodus. But after completing their prototype and testing it with users, they realised that commuters weren’t overly concerned about the speed the buses were using. In the end, what commuters wanted more than anything was to know whether they would reach their destination on time or earlier. After holding some interviews to gauge what the app should revolve around, they found out an even more pressing problem faced by the commuters—the wait for the bus. “We always heard that people complained about buses not running on time and how the wait for the bus is the worst. 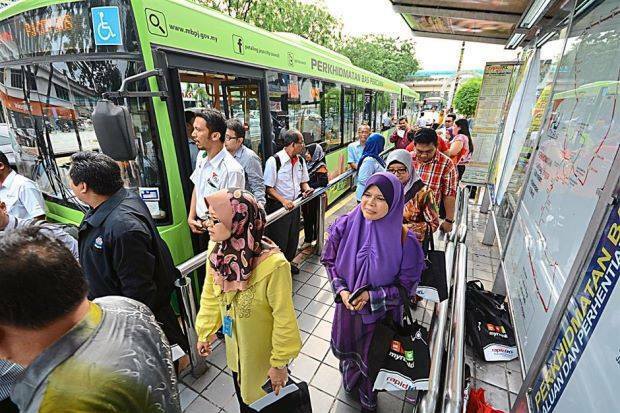 This was a problem that affected both express and stage buses, which brought us to our concept now,” said Haimi, one of the co-founders of WRZiT app. Despite now identifying the problem, they were still struggling on how to go about developing the app because this was on a larger scale and it affected public bus commuters nation wide. So in hopes of bettering themselves as entrepreneurs first, the duo joined a few programmes to help shape their startup and themselves as founders. “Late 2014 we brought our express bus overspeeding idea to 1337’s Alpha Startup program—a 1-week crash course on startup entrepreneurship—where it got ripped to shreds,” shared Haimi on the journey of getting approval for their app. The team used that experience to better their app as well as themselves. A year later saw them bringing their idea to Startup House Pre-Accelerator where they managed to develop their first prototype in 3 months. They also joined MaGIC’s Stanford Go To Market, a 1 week programme conducted by the brightest minds from Stanford Paulo Alto, which further refined their startup idea. But their salvation only came in mid 2015 in the form of an Angel investor, who gave them the freedom and opportunity to turn their idea into something viable. Currently the WRZiT team are part of MaGIC’s ASEAN Accelerator programme to further develop their skills. This led them to where they stand now where their current goal is to prove the problem-solution fit, and then bring their company to the stage of solving the product-market fit. For now, the team comprises of 3 individuals. The 2 co-founders, Haimi and Mazlan, both come from technical background and are pursuing this venture full time whilst their developer, Zack Bakarat, works on a contract basis. The beta version of the app was made available since early November 2016 but the app has been on Google Play Store since September 2016. It’s only available for Android for now as the team wishes to see how the community responds to their product before they roll out an iOS version. How they get the data is through several channels: tapping into existing transit data from operators, direct from bus transponders, and as well as through either bus driver or passenger contribution. 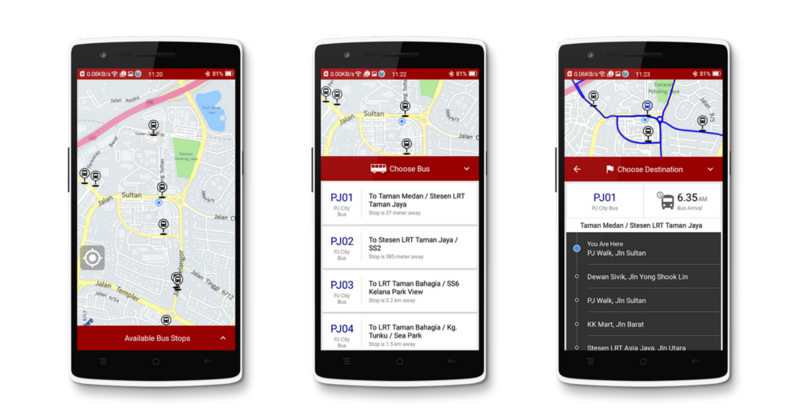 Currently, their app is only made available for testing on PJ City Bus routes. “We have received 300 downloads to date with an average of around 10 active users daily. We are still trying to learn how to best effectively market the app, and we have not begun marketing our product where the problem is—which is at the bus stops. We will be marketing the app offline starting early December. December also sees WRZiT expanding its services to GOKL buses,” shared Haimi. Being a platform that uses crowd-sourcing data for its primary function begs the question of whether it is able to function properly without heavily relying on its users. WRZiT leverages of the schedule of busses to give a guideline of the time which is what they fall back upon if there are no live GPS traces for the ETA’s. “Our schedule data also improves over time as more live GPS traces are shared within the platform. The next 3 months we will be testing solely on the effectiveness of crowd contribution. We will also be subsequently testing the other channels of obtaining data to better understand the right fit before further expanding our coverage,” said Haimi. Another hurdle they were faced with was the challenge of working on new technologies. In this case, they were rather new to Android mobile development, geolocation and crowd sourcing technologies. “It was tough. We spent a majority of our time in the early months tackling this learning curve through extreme development,” said Haimi. The app is still in its beta phase, so it’s a little too soon to speak about what other features can be implemented. The duo does have some plans in mind, they’ve shared that gamification and targeted native in-map advertisements are in the pipeline for next year. “At the end of the day, anyone can develop a mobile app that displays transit data. What makes us different is our ability to obtain transit data through multiple channels, which allows us to be independent, and not rely 100% on operators for transit data. We see ourselves growing from being a Community Driven GPS Solution, to being a Smart Transport Solution for ASEAN region,” said Haimi.